Burt's Bees Radiance Body Lotion 6 fl. oz. 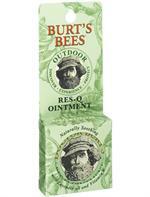 Gently clean and soften your skin with Burt's Bees Soap Bark and Chamomile Deep Cleansing Cream. This deep cleansing cream is formulated with natural soap bark to gently remove dirt, excess oil and makeup. 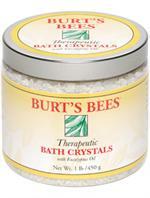 Infused with chamomile and aloe to soften skin. Dry your brush the way most shaving brush manufacturers recommend in the open air, with the bristles hanging down. The stand is made to fit most brushes where the bristles and the handle meet. 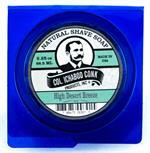 Colonel Conk's Almond Shaving Soap is infused with natural Almond and Avocado oils for a rich and soothing lather. The 2.25 ounce bar is designed for use in our classic shaving mugs. 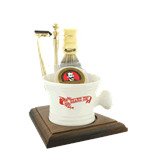 Old Fashioned Apothecary style shaving mug with knob handle. Made by Colonel Conk. Classic style for any shave. Let your next shave take you on a journey to the tropics with our lightly scented Bay Rum shaving soap. 2.25 ounce bar, for use in our classic shaving mugs. 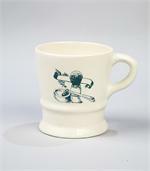 A traditional off white shave mug with leaf green decal. This classic style has been around for 100 plus years. 10 replacement razor blades per pack. High quality replacement blades. With a full hollow ground Carbon Steel Blade. Imported from Germany. Buffalo Horn handled DOVO Straight Razor features a super fine, long-lasting cutting edge for exceptionally smooth and clean shaves. With a full hollow ground Carbon Steel Blade. Sleek and modern styling in a classic razor. This Colonel Conk double track razor takes the #100 Replacement Blades made by Merkur. This Colonel Conk double track razor takes the #100 Replacement Blades made by Merkur. For the smoothest shave. Hardwood stand with walnut finish fits in small spaces and allows convenient and proper storage for razor and brush between uses. Cooling Tea Tree and refreshing Eucalyptus oils are blended together in this all natural after shave for a protective, soothing finish to your shave. All natural shaving soap by Colonel Ichabod Conk. High Desert Breeze fragrance has refreshing Tea Tree and Eucalyptus oils infused in a lathering bar shave soap. This is a "must have" for all straight razor shavers. A strop helps maintain a fine cutting edge on a straight razor and should be used regularly. Get a classic shave with a refreshing citrus bar of Lime Shaving Soap by Colonel Ichabod Conk. Elegant yet understated chrome handled shaving razor, designed specifically for the popular Gillette Mach 3 III Razor Blades. Who's afraid of the dark? Everything goes with this sophisticated 5 piece Black and Chrome Shave Set. An instant classic. Refreshes with a clean natural woodsy essence that lingers all day. Col Conk's Bay Rum After Shave marks a welcome return to the era when Bay Rum was synonymous with a good shave. Nothing recalls that era more vividly than the incomparable blend of the green bay tree and Jamaican Rum. Col Conk's Lime After Shave is the perfect follow up to our Lime Shave Soap. Enjoy the same hint of freshness only a lime scent can deliver. Take a stand! Give the premium gold tone designed 5 piece Shave Set, complete with solid wood stand. Makes a great gift. 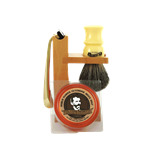 It's hard not to like this efficient 4 piece Hardwood Shave Set. All the style, a little less footprint in this essence of the spare and compact.